Metals Direct supplies top-quality steel and uses only the finest paint systems. You can select an economical but hardy R-panel roof or choose from a variety of standing-seam systems, the most durable, low-maintenance commercial roofing available. We specialize in providing steel warehouses, factory buildings and industrial metal buildings for several end uses. No matter how big or small the project, Metals Direct has a commercial steel building to fit your needs. Maximize your investment with a Metal Building from Metals Direct. 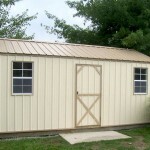 Metals Direct, Inc has been providing metal buildings to customers for a very long time. We specialize in supplying easy to assemble metal building kits, garage kits, carport kits and other structures that will cost you 40% to 50% less money than conventional construction methods. We ship nationwide to your job site. Our metal buildings are easy to install, and have no I-beams or cable ties to mess with. 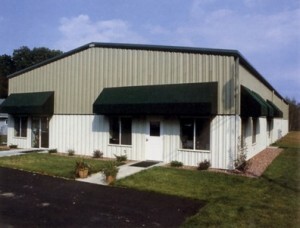 Our steel buildings come in many sizes and color configurations. Metals Direct has served the small-building owner with low-cost, high quality products and outstanding personal service. Now, we sell more small and mid-sized metal buildings than ever before, due in large part to repeat business. Whether you’re in need of a metal storage shed, workshop or a metal garage, we have a building that’s right for you. Metals Direct can customize your metal garage kits and buildings to match your interests and hobbies. We offer different types of structures for a variety of uses. Metals Direct’s rigid-frame all-steel construction gives the farmer and rancher the most economical choice in the long run. While offering the maximum usable space per square foot, our straightwall, clear span metal buildings are versatile enough to take on any chore, strong enough to get the job done year after year, and tough enough to stand up to the worst that Mother Nature can dish out. Steel farm buildings can cost less and offer easier upkeep. When it comes to building maintenance, the benefits of owning agricultural metal buildings instead of traditional structures allow you to spend less time on maintenance and more time getting your important work done. 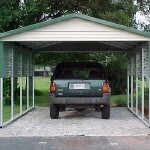 We specialize in metal garages. You will find that metal garage kits from Metals Direct come in a variety of styles and models. We have developed our metal garages so that they can be constructed in both residential and commercial applications. Our metal garage kits are available in most any size, and are configurable to include one or several bay doors, pedestrian doors, windows, and other options. Only Metals Direct offers you metal garages that are constructed with a galvanized frame system that goes together easy. Our metal garage kits are designed to be assembled with no special, high priced rental equipment such as forklifts and cranes.